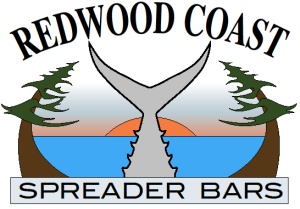 When I was asked by Bob Franko on behalf of the Coastside Fishing Club to write a greybeard article on mooching for salmon in Northern California waters I was honored. At first I wondered if I was qualified. Yes I have a greybeard, yes I have mooched for salmon for almost 20 years, yes I have fished for salmon for over 50 years, but my writing skills are lacking. I find it hard to put thoughts into words but here is my attempt and I hope everyone will enjoy and get something positive from this article. In the late 70’s after 30 years of trolling for salmon both sport and commercial, I became very tired of the routine. Commercial salmon fishing was unrewarding due to a whole lot of work for so little pay. Sport salmon trolling had became unrewarding due to handling 3# steel and lead balls, and listening to, and smelling, the boat engine all day. 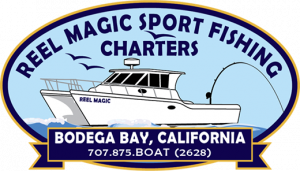 California F&G cut our fish limit from 3 to 2, and shortened our season from what was then February to November. So with this I quit salmon fishing altogether. Then about 1985 my brother Gene had joined a group of 50 sport fishermen in Fremont, called Nor Cal Skippers Club. 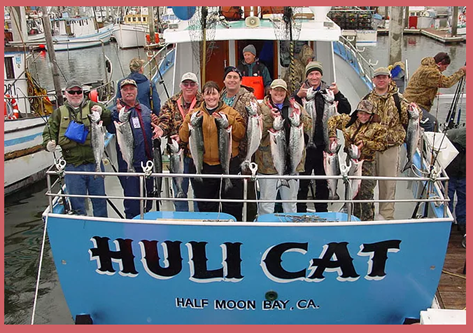 These club members did not troll for salmon, they only fished a method which was just catching on in Northern California known as salmon mooching. I joined my brother and some of the other club members fishing this method and I was hooked instantly. I became a member of Nor Cal Skippers Club. We even had T Shirts printed with our motto, “We Don’t Drag Our Balls, We Mooch”. We were such fanatics we started mooching from the opening day to the close of the season. We did not even carry trolling gear on our boats. So what is salmon mooching? To simplify the definition (without getting into all the changes and restrictions that Cal. F&G commission has made over the last 15 years, which we will discuss later) for the purpose of this article salmon mooching is a method of fishing where the boat is out of gear, or the motor is not running. You are drifting being pushed by the wind and or currents. Bait or various jigs can be used. Salmon mooching had been used with a lot of success in the Northwest, but in Northern California dragging 3# balls on releases seemed to be the preferred method all through the early days. (Downriggers were just becoming popular about this time.) The attitude seemed to be that trolling worked well so why change. But change did come, in the late 70’s. It started in the Monterey Bay Area. The secret of success in any fishing is to locate the bait, and the feeding fish will hopefully be there. When trolling you covered a lot of area and this technique enabled you to locate bait and fish in a broad area. In the spring Monterey Bay was alive with bait, anchovies, squid, sardines, mackerel, etc. With all this bait being in a confined area, and the salmon feeding on it, they were not hard to find. Locate the birds, the bait was under them, and the salmon would be feeding on the bait. Outside of the enclosed bays, the open ocean being such a vast area, the bait was harder to locate. But in the early 80’s good CRT depth sounders (or, if you prefer, “fish finders”) and loran became available for small boats at an affordable price. With this electronic wizardry we were able to locate schools of bait on the open ocean, keep on top of it, and return to it. Thus the popularity of mooching for salmon spread throughout the Northern California area. At this time I need to share a couple of thoughts. First I have no problem with those that prefer and enjoy trolling. In fact about 7 years ago I had to eat crow and purchased downriggers and started to troll again (for reasons to be discussed later). We could debate the advantages and disadvantages of both methods, and in the end it would be the same conclusion, some like to troll, some like to mooch, and some like both methods. This article is biased towards mooching because that is what it is about. But that does not mean I do not understand the other methods. First we need a platform to fish from. 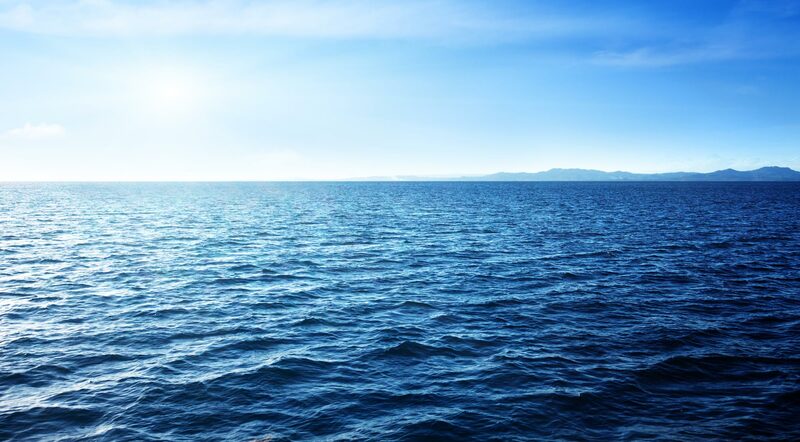 Most salmon mooching will be done on the open ocean, so any size boat that is capable of handling the ocean conditions safely and has all the safety equipment will work fine. This is an individual preference and decision. I suggest a couple of additions to your boat if you do not already have them. First is some means of slowing your drift under windy conditions, and to lesser degree with fast currents. There are a number of things available for this purpose. From most marine accessory dealers you can purchase drift chutes, sea anchors, or for small boats just plain plastic buckets will help. The most popular chute can be purchased at most Army-Navy surplus stores. These are about 12′ diameter and work the best. When rigged and floated off the bow they will help control drift speed to help control fishing line angles. Other items to have are rod holders that will allow your rod to be parallel to the water. Next we will need rods and reels. As everyone knows there are so many choices and everyone has their favorite brand, model, size, type of eyes, one piece, or two piece, bait casting reel, spinning reel, lever drag, star drag, you get the point. They will all work satisfactorily. I hesitate to recommend any particular rod or reel, I can only tell you what I use and why. For bait fishing rods I prefer lengths of 7′ to 8 1/2′. I have fished rods up to 11′ and love them, but on my 20′ boat it is very hard to control the fish close to the boat with rods that long. I mooch with light tackle. All rods are light to medium. For bait fishing the action of the bait is important. Since I mooch (with bait) with the rods in the rod holders, and parallel to the water, the action of the boat and rods is important. I mix my rods as to composition. I use Glass, Graphite, Carbon Fiber, & Composite Rods. Each day is different and the rods will give the bait different action. For mooching or jigging or using other artificial lures, I use light to medium light 5 1/2′ to 6 1/2′ Graphite or composite rods. I also hold these so I can control the action. For reels, I use any small level wind bait casting reel. I prefer the Shimano Triton G T 100 and 200. They have very smooth drags and are indestructible. I use the same model reels for bait and jigs. I guess I would have to say this is your choice. There are so many excellent lines on the market. I use Berkley Big Game 8# to 14# mono when mooching with bait. I use Berkley Whiplash Spectra 30# to 50# when jigging, or when mooching with bait over 100′ (this will be covered later). I prefer the mono for mooching with bait because it has some stretch and is very forgiving. When fishing with bait on the circle hooks and the rods in the rod holders, you have to let the fish run to hook itself (more on this later). With spectra you have a greater chance for tangles and lines cut off. When jigging I prefer spectra because of the sensitivity and no stretch for hook setting. The rod is always in my hands so I have control. I would like to give my opinion on fluorocarbon line. I do not believe it is necessary for main lines. I believe it has some merit as leader material. I have used fluorocarbon and mono leaders and can not see a difference one over the other. At times I still use both. Let’s start with mooching with bait. When mooching for salmon became popular in the late 70’s terminal tackle was pretty much unlimited, and also you could use multiple rods. The popular setup was J hooks, rigged either single or double on a 4’to6′, 15# to 20# mono leader. Then in the early 90’s we were limited to one rod. Somewhere in there we went from barbed to barbless hooks. Then another restriction, barbless circle hooks with size restrictions. Then another change to barbless circle hooks with no size restrictions. Word of caution here is read the California F&G daily rule changes before you do any type of fishing. As of now we are restricted to no more than 2 barbless circle hooks. No size restriction, but if you use more than one hook they must be hard tied with no more than 5″ between the hooks. I prefer a 4/0 to 6/0 single hook snelled to 5′ to 6′ 15# to 20# mono, or fluorocarbon leader. I prefer the larger hooks to get a little more distance between the point and shank, for better chance of hooking the fish. I also snell my circle hooks because I believe the mechanical leverage is better than a loop connection. Next is mooching for salmon with jigs. There are unlimited numbers of jigs that work well for salmon. For your selection I would suggest you talk to a local tackle store in the area you are going to fish and find what is working best at that time .You are allowed one single point barbless hook, which can be J hook or circle hook. When mooching with any type artificial you are not allowed to put any bait or scent on it .Again read all current California F&G regulations pertaining to this before you do it. The most popular jig for mooching is the Gitzit. This is my preference and usually in white. I prefer 1/2 to 1 oz. Now you will need weight to get the bait at the desired depth, line angle and to insure proper action on the bait .Remember you are trying to imitate a wounded bait fish. The two most popular weights are banana sinkers, and round lead balls on sliders. Banana sinkers or crescent sinkers work very well. The crescent shape of these with water movement can cause action on your bait, and sometimes this can help. Also due to the shape there is less friction and the line will run deeper. The down side is that they are tied inline with your main line and leader and must be cut and retied to change weight. I prefer using a small plastic slider on the main line, with a #5 coast lock snap swivel attached to the end. With this set up you can change weights very easily and also remove them when running. Also when the fish pulls on the line it will pass thru the slider with less friction. You snap your leader onto the cross lock, and after you net a fish it is very easy to unsnap and handle the fish without the chance of breaking your rod. For most bait mooching you will need an assortment of round lead balls from 1oz to 8 oz. We will discuss some larger ones a little later. For all artificial lures I direct tie to the main line. No slider, no snaps, no swivels. For bait you can use all the popular salmon baits that are used for trolling, anchovies, herring, sardines, squid, mackerel, etc. As I said I prefer a single 4/0 to 6/0 circle hook snelled to my leader. (Smaller hook for smaller bait, larger hook for larger bait.) I rig bait both by threading through it with a needle and a half hitch around the tail. And also by passing the leader on the outside and a half hitch around the tail. The secret with circle hooks is to keep the hook exposed. I also use small rubber bands (mooching bands) around the gills to keep them closed. Contrary to common belief salmon are not finicky eaters, they are voracious predators. After all, they attack metal and plastic lures. They feed by sight and smell. Freshness and presentation of the bait is most important. Most salmon mooching is done in the top 60′ of water. But it can be, and has been, very successful for me up to 225′. I have fished 15# mono and 12oz to 16oz of weight at these depths. Today I prefer 50# spectra when fishing deep. Also we have used small trout trolling weight releases in place of the slider. When we were allowed J hooks it was more successful mooching deep than today with circle hooks. Most salmon when feeding in the top 60’of water will swim away from the boat or down deeper. This will keep pressure on the line and help hook set. When salmon are feeding deeper than 80′ they will swim up towards the surface, causing slack in the line and poor chance of hook set. I believe when mooching deep the best set up is a weight release, or banana (crescent) sinker tied in line with your leader. As the fish swims up the drag of the weight will help with hook set. Now we must decide where we are going to fish. Use all the sources available, including friends that have been fishing, newspapers, radio reports, bait shop web sites, and, the most important one of all, the Coastside Fishing Club web site. From these sources you can usually get some Lat – Lon Numbers for an area where the bait and fish have been recently. When running to a set of numbers watch for the signs of bait. Birds, whales, rips, water color change, etc. Also look for water temp. Salmon prefer 52-54 degree water, but can be found feeding in warmer or cooler water also if the bait is there. We all have a tendency to run over a lot of bait and fish on our way to that hot spot. If you see good signs slow down and meter the area. We are looking for large balls of bait. This can be krill, anchovies, herring, or other bait fish. Also you may find just surface bait, on the top of the water to maybe 30′ or 40′. Or you may meter bait deep or near the bottom. This bait may come up later in the day so punch the numbers into your GPS, because you may want to return and fish here later. If you find a bait ball do not stop in the middle of it. Try to determine the direction you will drift and set up so you will drift along the edge. Salmon do not feed in the middle of the bait ball. Remember salmon eyes are high on there head they can see around them and up, but it is hard for them to see below. Salmon will attack the bait from the bottom and sides, wounding the bait and feed on it as it falls. They will attack krill balls the same way except they do not injure krill they just eat. If you find surface bait covering a large area you will set up in it, and usually fish in the lower half of the bait and just below it. In surface bait salmon will often attack thru it all the way to the surface. This is a good time to jig shallow (5’to 15′) or try fishing your baits shallow. Now we have found a bait ball and we set up and are drifting, engine off. Start with about 3oz of weight. Lower baits into the water and count how many feet by the number of pulls from the reel forward in about one foot increments. When we could use extra rods we could fish them all at different depths until we located the fish and then everyone could fish about that depth. Now with one rod apiece and two or three fishermen we usually start one shallow (10’to 20′), the others just under the bait or a little deeper. The deeper rods you can bring up about 5′ every 5 or 10 minutes or until you locate fish. If you do not get a fish repeat the process, maybe starting a little deeper. With the rods in the rod holders and about parallel to the water, the lines should be from just off vertical up to about 45 degrees. This can usually be controlled by adding or removing weight, up to about 6oz. If the lines are still over 45 degrees you will need to deploy your drift chute to slow your drift. The drift of the boat and the rocking action due to water conditions causes the action on your bait. This is where the different rod lengths and composition come into play and will cause different actions to the bait. Do not be afraid to experiment with different rods. Also if it is a flat calm still day, no drift, you can do what is known as power mooching. Start the engine and kick it into and out of gear, just enough to get some forward progress. This can be very productive as baits rise and fall. After all you are trying to imitate wounded bait fish. When we used to fish with J hooks, we fished with a loose drag, clicker on. When we saw a bite we would feed some line and pick up the rod and when we felt the fish pulling we set the hook and started reeling. Now with circle hooks it is a whole new technique. We fish the rod in the rod holder with medium light drag, clicker on or off. Watch and when you see tapping on your rod just wait. The fish will swallow the bait and start to run away, again you wait a bit more, the drag from the reel will pull the bait out of the fishes stomach, and if you are lucky the circle hook will catch in the jaw. At this point you pick up the rod. Start to reel steady and do not pump the rod. Keep pressure on the fish at all times. You have found some surface bait about 20′ thick. You decide you want to try some jig fishing. Depending on the artificial you are using, most jigging is done no deeper than 20′. Gitzits work best up to about 15′. Tie your line direct to the lure. Lower the lure down about 12′ and work it up and down vertically. You are holding your rod at all times and fishing with a preset medium drag. When you feel a tap set the hook and start to reel. Remember you have a barbless hook so keep a tight line at all times. Jigging for Salmon can also be very successful deeper than 20′. You have a lot of options for lures of various sizes and weights, these give you chance to be innovative and experiment. Jig fishing has become less productive since we can no longer put bait fillet on the hook. But on the plus side it has become more of a challenge, the presentation and lure action created by the angler is much more important. At this time I would like to share some personnel observations and some personal opinions of what changes have occurred as related to Salmon mooching and why they have occurred. During the 70’s and into the early 90’s we had cool water currents close to shore along our coast. With this was an abundance of bait and the salmon would remain close to shore to feed. This had become a typical pattern and we could rely on it year after year. We seldom ventured more than 10 miles from shore, and almost all the fishing was close to the beaches. At this time trolling and mooching were equally productive. I will have to be a little biased and say the average size of fish was larger mooching. In the early to mid 90’s we started to see the currents change and the water became warmer. The salmon, and the bait to some degree, moved off shore into the deeper cooler water. It became less productive to mooch because the bait and fish were scattered over such a wide area. Salmon would move into the warmer water to feed but would not remain long before moving back to the deep cool water. At this time trolling had the advantage because you would cover more area and the fish were moving and feeding. In the mid 90’s I had to eat crow and buy downriggers to troll and keep up with the high liners. Trolling with downriggers allows the use of light tackle but you still have the motor running. I personally do not find it as satisfying as drifting and mooching. This brings us up to where we are at the present time. As we all know the ocean is alive and healthy. There is more krill and bait fish than anyone can ever remember. The large size of salmon we are seeing now has never been seen in the past by anyone fishing today. The number of fish is right up there with the best of the years. The conditions that made all this possible also made it difficult for the sports fisherman to catch the fish. With warm currents close to our coast it has forced the Salmon into off shore deep cool water. Sport boats usually do not have the gear to fish at these depths. The commercial fleet has had better fishing than in the last 20 years. But they are fishing over 250’deep. We do get a shot at them as they move in and out to feed. Also we get a shot at them as they pass thru the Gulf of the Farallons on there way to the rivers to spawn. Unlike past years, due to higher water temp the fish do no hang out and feed in these areas. I believe it is time to rethink our methods of fishing and adapt to the conditions. I believe that we could get to these fish in the deep water by mooching. I believe with spectra line, just slightly heaver rods, 16oz balls on releases, we could mooch up to 300′ with success. Is anyone game to try? In closing I want to thank everyone for taking the time to read this, and allowing me to share some of my thoughts with you. I hope you at the least, enjoyed reading this and that it may have sparked some interest in you for mooching.